If you live in Sheffield and looking for Hypnotherapy services then you have come to the right place. Would you like to be more relaxed, healthier, confident or happy? Please be rest assured if you are looking for a Sheffield Hypnotherapist that can help you improve your life and give you real results then you have come to the right place. Your success is our success and with one of the most popular and most experienced NLP and Hypnotherapy experts in the UK, Claire Hegarty will give you life changing results. Read the following page and look around our site and see how we can help you improve your life and if you would like free advice or a free consultation then please do call us on 0151 678 3358 or 07714 853 524. If you are looking for Sheffield Hypnotherapy services then you may know a bit about hypnotherapy and how over the year’s hypnosis has increased in its profile. Hypnotherapy is regarded as an established and successful way of helping people with a large number of issues from stop smoking, weight loss, confidence, public speaking, and anger management. Hypnotherapy is a safe and effective way to help you succeed in life. Are you away of how powerful hypnosis is and how it can help you improve your life? If you have used hypnotherapy before or researched Sheffield Hypnotherapy services then you may already be aware but if not let me explain. Hypnotherapy is being used all over the world to help people improve their life from helping people to lose weight using weight loss hypnotherapy to helping people who have a fear of flying. As well as helping people with issues such as Irritable Bowel Syndrome it is also being used by celebrities to help them with stage fright as well as helping with public speaking. If you are looking for Hypnotherapy in Sheffield to help improve your life then by visiting our Sheffield Hypnotherapy site with Claire Hegarty, you can come to the right place. Not only have you found the site of Claire Hegarty a very well-known Hypnotherapist, you have also found one of the leading experts in NLP, Weight Loss Hypnotherapy and Life Coaching. Our leading Hypnotherapy expert Claire Hegarty is a very well known hypnotherapy and NLP hypnotherapy expert in Sheffield and the UK. And as such Claire is asked on many occasions to offer her professional and expert opinion on a number of issues including IBS, Weight Loss and Obesity within children. 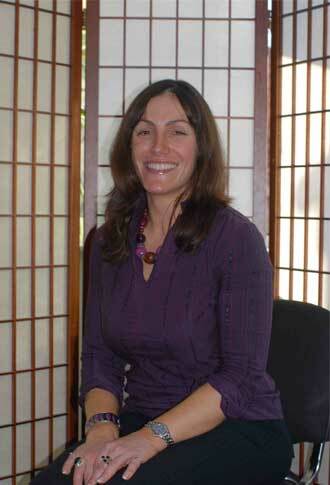 As well as being a NLP and Hypnotherapy expert, Claire is also a radio presenter where she presents her own health radio show and when she is not presenting on radio and helping clients to improve their lives in Sheffield and around the UK, she is teaching students on her NLP Practitioner course. With Claire Hegarty being a very experienced and qualified hypnotherapist she feels it is important to offer all of her potential Sheffield client’s free advice over the phone as well as a free consultation at her office and all Sheffield Hypnotherapy clients receive life changing results on her hypnotherapy and NLP services including Hypno Gastric Band and Gastric Band Hypnosis. Then call our head office today and see how hypnotherapy can make a change to your life. If you live in Sheffield or near Sheffield and would like someone who is experienced and highly qualified in Hypnotherapy then you have come to the right place. Claire Hegarty is a very well respected hypnotherapy expert who is asked on many occasions to give expert opinion to the media on a whole range of issues from obesity, stage fright, Irritable Bowel Syndrome to Anger Management Therapy. To make sure you receive the best possible service and to make sure you receive the results you need to receive, it is important that you are helped by someone who is very experienced and qualified. Claire has a BSc with honours in Chemistry, Certified Trainer of NLP, Certified Trainer of Time Line Therapy ®, Certified NLP Coach Trainer, Certified Master Hypnotherapist, Certified Master NLP Coach, Certified Archetypal Coach at level of individual and organisation, Certified Reiki Master, Certified in many levels of Shamanic tools and techniques and also trained in the areas of Numerology, Astrology and Ancient Hawaiian Huna. She is also a fully accredited member of the ANLP, ABNLP, ABH and ATLT international accreditation bodies requiring both high levels of certification and CPD to maintain accreditation. If you want to achieve more in life and are looking for hypnotherapy experts in Sheffield to help you with your goals then Claire Hegarty should be your first port of call. Would you like to be more control of your life and live your life to the full? People who live in Sheffield who look for Hypnosis services decide to work with Claire Hegarty because they know with her experience and qualifications she can make the change in their lives that they are looking for using Hypnotherapy and NLP as well as a large number of other services that are offered to the people in Sheffield. If you are looking for experienced hypnotherapy services in Sheffield and would like some advice on Hypnotherapy, Gastric Band Hypnosis, NLP, Life Coaching or any other services to help you achieve your goals, then Claire Hegarty is more than happy to offer you free advice. If you phone our head office on 0151 678 3358 or Claire Hegarty direct on her mobile 07714 853 524 then you will be able to have all your questions answered.